A place to appreciate the works of the renowned Roman Catholic, Anglo-French historian, essayist and poet. 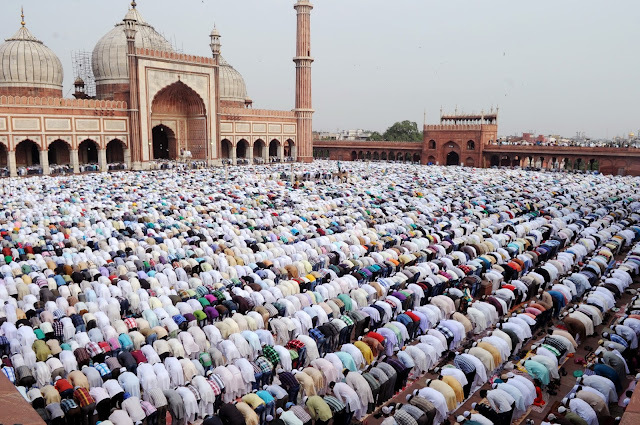 "The Mohammedan never becomes a Catholic"
"IT [Islam] still converts pagan savages wholesale. It even attracts from time to time some European eccentric, who joins its body. But the Mohammedan never becomes a Catholic. No fragment of Islam ever abandons its sacred book, its code of morals, its organized system of prayer, its simple doctrine. In view of this, anyone with a knowledge of history is bound to ask himself whether we shall not see in the future a revival of Mohammedan political power, and a renewal of the old pressure of Islam on Christendom." 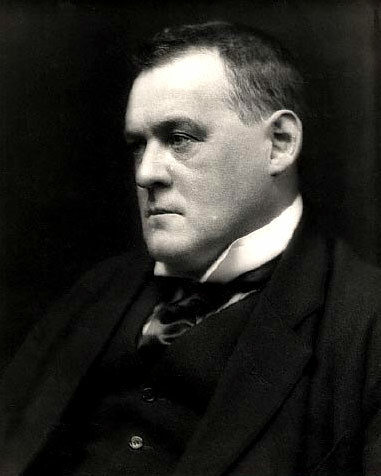 ~Hilaire Belloc: The Great Heresies. 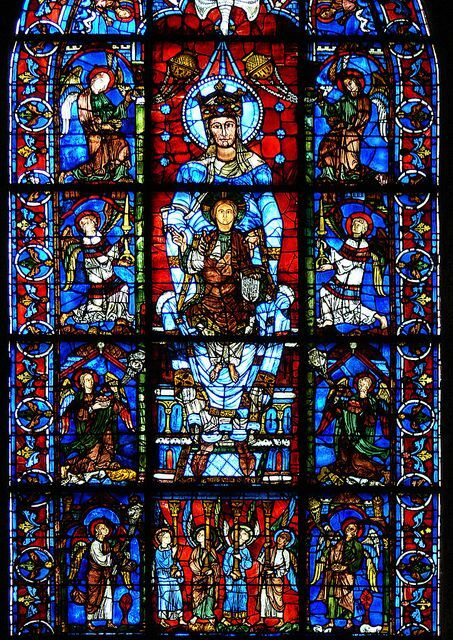 "YOU are like one examining the windows of Chartres from within by candle-light, and marveling how any man can find glory in them; but we have the sun shining through." "The demon of unrestricted competition"
"THE GUILD, one might almost say, comes into existence, and has always come into existence, with the object of preventing men from being destroyed by the demon of unrestricted competition, which is only another word for greed." "WELL, we must hope that intelligence will resume it's rights, even against such; but the prospect is not cheerful. Meanwhile the monstrous apparition of the "Modern Mind" has produced one good among many evils; it has produced a belated Brotherhood of the Intelligent. We of the Faith and the cultured Pagans have a common opponent. A common donkey blocking the car, and needing to be shouldered off the lane into the ditch, breeds fellow-feeling between the Catholic and the clear-minded skeptic. Each feels a peculiar disgust with the "Modern Mind." So we have, at last, allies." "WE no longer regarded Islam as a rival to our own culture. We thought of its religion as a sort of fossilised thing about which we need no trouble. That was almost certainly a mistake. We shall almost certainly have to reckon with Islam in the near future. Perhaps if we lose our faith it will rise." "IF we could get a full picture of what all that sea-world was in early Christian time and compare it with what we see to-day we should understand what ruin false doctrine can bring "upon the world. The ancient paganism, being a preparation for the Faith, did no such hurt. It was Mohammedanism, the greatest and most virulent of the heresies (and most persistent), which must bear the blame." "THE MOHAMMEDAN attack was a different kind. 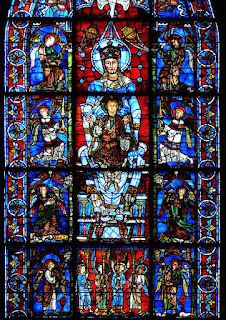 It came geographically outside the area of Christendom; it appeared, almost from the outset, as a foreign enemy; yet it was not, strictly speaking, a new religion attacking the old, it was essentially a heresy; but from the circumstances of its birth was a heresy alien rather than intimate. It threatened to kill the Christian Church by invasion rather than undermine it from within." ~Hilaire Belloc: "The Great Heresies."